Combat vehicles of the Almaz-Antey Air and Space Defense Corporation’s S-500 Prometei (Prometheus) next-generation surface-to-air missile (SAM) system have entered production at the manufacturer’s newly constructed plant in Nizhny Novgorod. Russian media also reports that another new manufacturing site, in Kirov, commenced manufacture of advanced missiles for that system. The S-500 represents a next step in the evolution of long-range Russian SAMs after the S-400 Triumf that became operational 11 years ago. Although its development and firing trials have proceeded more slowly than initially expected, Russian defense minister Sergei Shoigu expects deliveries to commence in 2020. Funding for the acquisition is provided in the State Armament Program 2018-2027 signed by President Putin earlier this year. 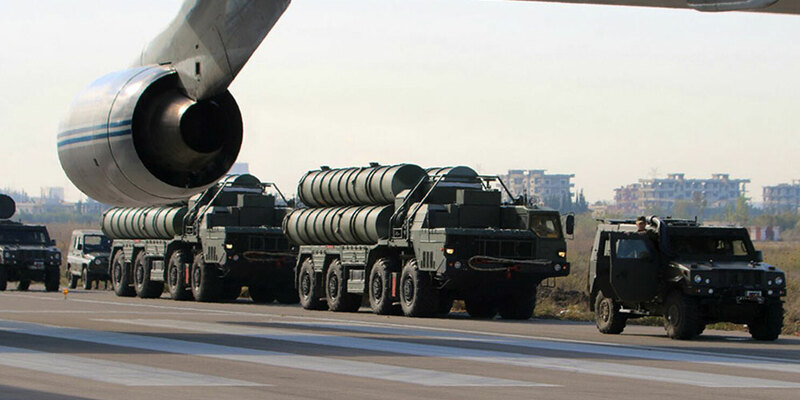 Although the S-500 makes use of the same wheeled chassis and can employ several types of missiles developed for its predecessor, it is a generation ahead of it, according to Almaz-Antey general designer Pavel Sozinov. He attributed the newer system to the fifth generation of Russian rocketry. In terms of design solutions, the S-500 is “completely different” from the S-400, as more focus has been paid to automation. Besides, it comes with two cores, one specialized in engaging ballistic targets and the other tailored for aerodynamic ones. The first employs the 77N6 kinetic interceptor family. Against aerodynamic targets the system can use the 48N6 family of missiles with a launch mass of about two tons and an effective range of up to 130 nm (240 kilometers) as well as the more recent 40N6 with higher performance. Optimized for shorter ranges, the 9M96 and 9M100 families are smaller, weighing 530 pounds (240 kg) and upwards. Compared to the S-400 system, the maximum firing range of the S-500 is increased from 215 to 324 nm (400 to 600 km). It can simultaneously shoot at multiple targets, including cruise missiles travelling at speeds of up to Mach 5. The S-500 can detect a ballistic missile at a distance of up to 1,080 nm (2,000 kilometers) and hit it at altitudes of up to 130,000 to 165,000 feet (40,000 to 50,000 meters). It can engage incoming ballistic missile travelling at speeds of up to six kilometers per second. In the global market for weapons, the S-500 challenges the Terminal High Altitude Area Defense (THAAD) from Lockheed-Martin. “We are trying to considerably surpass” the U.S. system in performance, Sozimov said. S-500 has two new interceptor 77N6 and 77N6-N-H1 the latter is used for aerodynamic target.